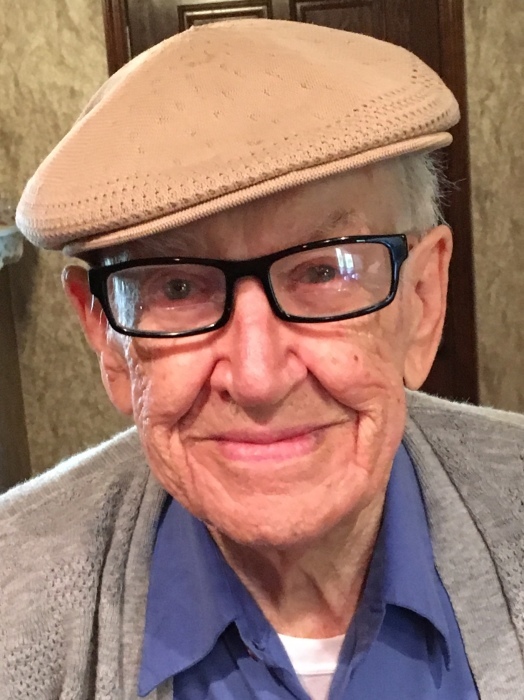 Chester Rawlings, 101, formerly of Connersville, went home to be with the Lord on Sunday morning, September 9, 2018, at Friends Fellowship Community, Richmond, Indiana where he had been a resident for the past six years. One of five children of Earl and Lina Johnson Rawlings, Chester was born in Losantville, Indiana April 14, 1917, and grew up on the family farm. He graduated from Losantville High School with the class of 1935 and attended electrical school in Chicago, Illinois. Chester married the former Doris Conwell on April 7, 1939, in Moreland, Indiana at the home of the bride. They made their home in Connersville soon after the wedding. Mrs. Rawlings passed away June 30, 2018. Chester was employed at National Metal Products in 1937 and he retired as plant manager in 1979. He stayed with the company as a consultant for several years following his retirement. Chester also built apartments on Canyon Parkway and was a greeter at Miller, Moster, Robbins Funeral Home. A lifelong Christian, Chester was a faithful member of First Baptist Church of Connersville where he served as a deacon, church moderator, and taught Sunday school for thirty years. Also, he was a member of Connersville Kiwanis, Free & Accepted Masons Warren Lodge #15, and the Scottish Rite of Indianapolis. Following retirement, Chester and his wife, Doris, enjoyed traveling, including trips to Hawaii, China, Russia, Germany, Hong Kong, Thailand, Czechoslovakia, England, France, Austria among many. An avid golfer, Chester was a member of the Connersville Country Club and the Eastern Indiana Senior Golf League. Survivors include a daughter, Suzette (Robert) Powell of Richmond; three grandchildren, Shayna (Alan) Duncan of South Elgin, Illinois, Polly (Mark) Stead of Plainfield, Indiana, and Nathan (Ashley) Powell of Olive Branch, Mississippi; eight great-grandchildren, Alexandria (Marshall) Hawn, Elizabeth and Tharyn Duncan, Isabelle, Lydia, and Isaac Stead, Noelle Powell, and Silas Powell; a great-great-granddaughter, Zoey Powell; and two brothers Dr. John Albert (Joan) Rawlings of San Diego, California and Max (Twila) Rawlings of Muncie, Indiana. Besides his wife of 79 years, Doris Rawlings, Chester was preceded in death by his parents; a son, Dean Earl Rawlings; and two sisters, Reva Gilmore and Vivian Peckingpaugh. Family and friends may call from 12:00 noon until the time of service at 1:00 p.m. on Thursday, September 13, 2018, at Miller, Moster, Robbins Funeral Home, 1704 Grand Avenue, Connersville, Indiana 47331. Burial will follow in Dale Cemetery. In lieu of flowers, memorial contributions may be made to First Baptist Church of Connersville, 1211 N Grand Avenue, Connersville, Indiana, 47331. Online condolences can be made anytime at millermosterrobbins.com.